healthy eating while reducing emissions and eliminating pesticide use. Over one billion pounds of pesticides are used in the US each year and approximately 5.6 billion pounds are used worldwide. Transportation of food accounts for 27% of greenhouse gas emissions through the burning of fossil fuels from cars, trucks, ships, trains and planes. Agrilution, a vertical farming startup based in Munich, Germany, has developed plantCube, a smart home appliance that allows anyone to grow organic herbs, vegetables and berries indoors regardless of weather or climate. 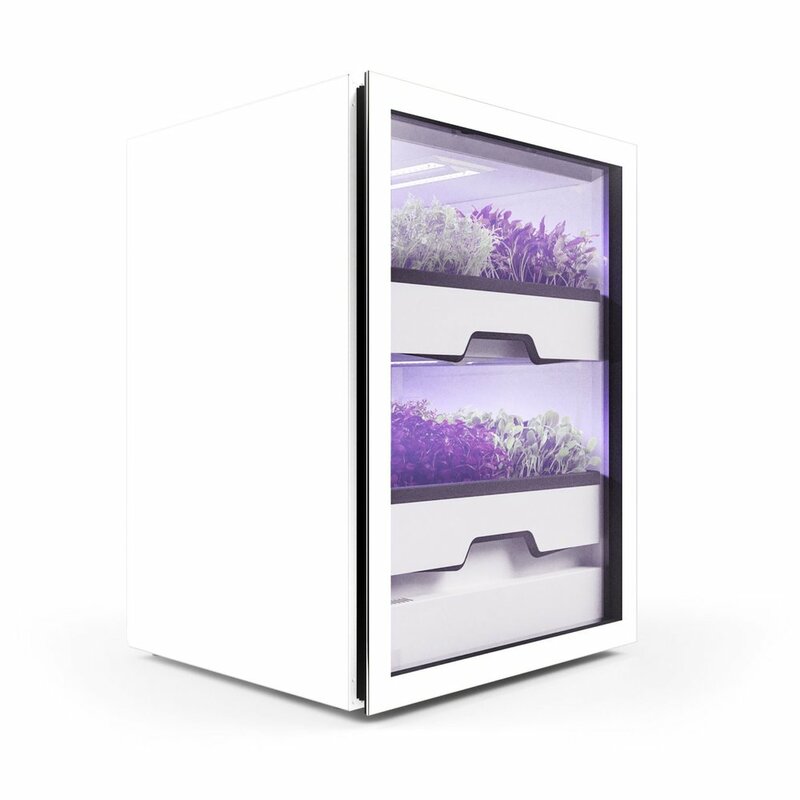 PlantCube is about the size of a dishwasher and provides an optimal growing environment by automatically regulating temperature, watering and lighting conditions. This handy app can be downloaded straight to your phone making it convenient to grow nutritious food all year round, without the use of pesticides. Now that’s vertical farming made easy! The team at Agrilution says, “by eliminating unnecessary transportation and non-transparency in food production we re-establish the trust in food so many people are looking for.” Agreed, and no transportation = reduced greenhouse gas emissions.